Replacement foil and cutter pack for Remington shaver. Fits model--MS1551. Part of the CleanShave series. 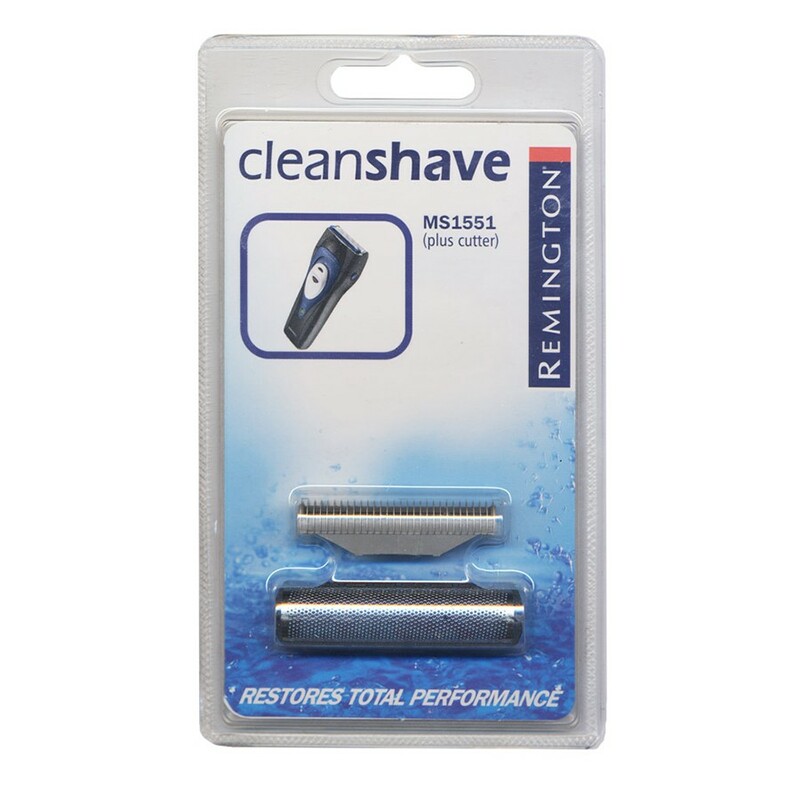 Made with genuine Remington components to restore total performance to your shaver. Your Remington shaver requires very little maintenance throughout its life--simply keep it clean, charged and replace foils as necessary. Men with thicker hair or more frequent users may need to change components more often. Keeping the shaver clean and free of hairs will improve the quality of the shave and reduce the chance of irritation. All shavers come with cleaning brushes to brush off any build-up and washable shavers can be rinsed under a tap. Those with more delicate skin might like to try using a drop of tea tree oil mixed in with the water as it has natural anti-bacterial qualities. By following the charging instructions in the product information leaflet, you are sure to maintain the shaver's performance. Be sure to always completely dry both the shaver and your hands before putting it on the charger.